On this page we have included some links to other table tennis sites – local, UK and around the world. 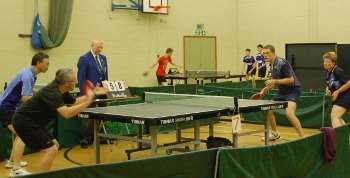 Bury St Edmunds & District Table Tennis League The League where our teams play. Here, you can check fixtures, results, tables – both team and individual – and see reports of various matches, etc. The ‘Border League’ Junior Competition. We regularly enter at least one team. International Table Tennis Federation Info on world events and rankings etc. ITTF – info of world TT events and rankings etc.